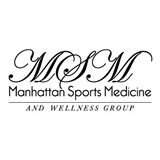 Manhattan Sports Medicine & Wellness Group (New York) - Book Appointment Online! The Doctors at Downtown Physical Medicine & Rehabilitation are pleased to welcome you to our practice. We want all our patients to be informed decision makers and fully understand any health issues you face. That's why we've developed a website loaded with valuable information about muscle, bone, joint and connective tissue problems and treatments. We encourage you to visit this site whenever you have concern related to your health. She was really nice. She's a great listener and she took the time to explain what my body was going through and what her recommended course of action was. I feel confident that I'll be to fighting form soon. She is also prompt! Started my appointment on time and ended on time too. Can't wait for my next appointment. Dr. West is the best! He explains everything, is very knowledgeable, and his treatments are effective. Have been seeing DrPat for a few months now on and off, and he’s really helping me with stretches, exercises and adjustments for my back pain.